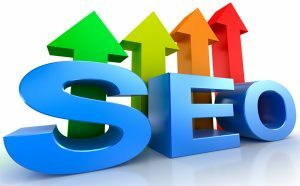 Organic SEO involves using a variety of techniques and methods to help your website climb through search engine rankings. Even though SEO can be highly profitable for many business owners, there are still some who don’t want to invest much in it as the results are far from being instant. A reputable California SEO firm will tell you that a properly done SEO campaign can take anywhere from 3 to 6 months to start seeing noticeable results. You’re definitely not going to start ranking for your chosen keywords in just a couple of days. This is because an organic SEO campaign that is done properly by a digital marketing company involves improving various on-site and off-site factors. Depending on your objectives and the level of competition that you’re facing, you may need to have content added to your website on a daily basis, have quality links from reputable websites pointed to it and have several improvements made to your overall online presence. You will start seeing some progress within a few weeks, but it will be gradual. Despite this, you shouldn’t hesitate to use a search engine marketing service to get your site to climb through search results. Every day, billions of individuals use search engines to find products and services that they need. A website that appears on the first page of search results for relevant keywords can receive thousands of interested visitors, while one that is buried under several pages might get only a handful. Article written and submitted by Pierre Zarokian. Pierre is an expert in SEO and Reputation Management. He is the CEO of Submit Express. When he is not working he enjoys making electronic music. You can listen to some of his tracks on Pierre Zarokian Soundcloud page.